Washington (CNN) China's apparent landing of a military jet on a man-made island in the disputed waters of the South China Sea drew a protest from the U.S. military Monday. The Chinese military aircraft landed on Yongshu Reef, also known as Fiery Cross Reef, to give emergency assistance to three severely ill civilian workers, said Lu Kang, spokesman with China's Ministry of Foreign Affairs. The three construction workers were airlifted Sunday to a hospital on Hainan island, according to Xinhua, the Chinese state-run news agency. But U.S. officials had some questions. "We're aware that a Chinese military aircraft landed at Fiery Cross Reef on Sunday in what China described as a humanitarian operation to evacuate three ill workers," Pentagon spokesman Capt. Jeff Davis told CNN in a statement. "It is unclear why the Chinese used a military aircraft, as opposed to a civilian one." 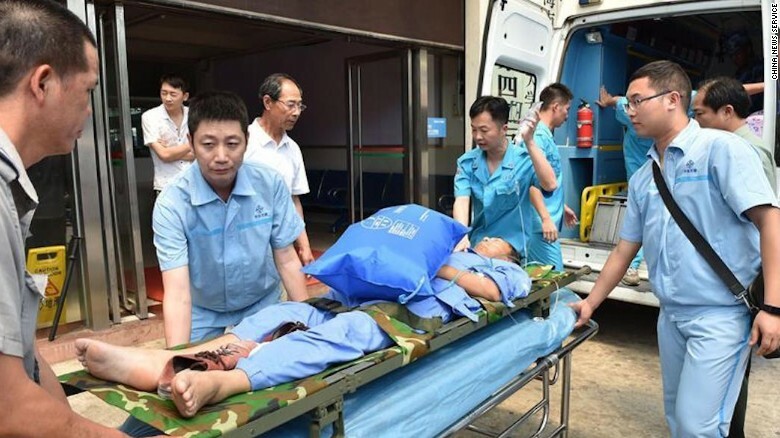 The three patients were transported to a hospital on Hainan island, according to state-run media. The United States, along with the Philippines have voiced continued concern over China's establishment of man-made islands in portions of the South China Sea, one of the world's busiest sea lanes for commerce, in areas claimed by the Philippines and thousands of miles from the Chinese mainland. There has been particular apprehension over Fiery Cross Reef -- one of China's man-made islands in the Spratly Island chain -- after the Chinese constructed a runway long enough to accommodate large military aircraft. 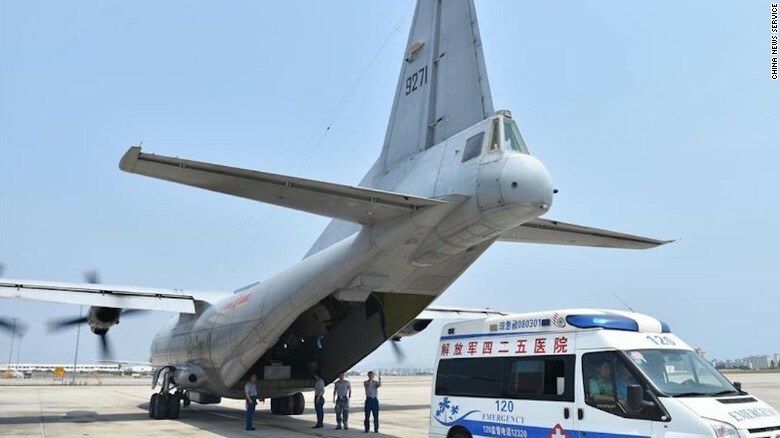 Chinese military aircraft transported the three sick civilian workers. It was unclear whether this was the first landing by a Chinese military jet on the new airstrip. The airstrip, which extends 1.8 miles, was completed this year on reclaimed land around the reef. So far, two civilian aircraft made test flights to the airstrip in January. China described the latest landing as a rescue mission that are part of the military's "fine tradition" and said that the action was "not at all surprising" since they had conducted it on the country's own territory, said Kang at a briefing Monday. China claims the reclamation project is permitted by international law, but the United States and nearby countries like the Philippines and Vietnam fear China will use the islands to project their military might and upset the balance of power further from their shores. "We urge China to reaffirm that it has no plans to deploy or rotate military aircraft at its outposts in the Spratly's, in keeping with China's prior assurances," Davis said in his statement. The United States continues to perform "freedom of navigation" operations in close proximity of the Chinese islands to challenge Beijing's territorial claims. During a visit to the Philippines last week, Defense Secretary Ash Carter was aboard the USS John C. Stennis aircraft carrier as it conducted one of those operations in the South China Sea. "In the South China Sea, China's actions in particular are causing anxiety and raising regional tensions," Carter told sailors aboard the ship. 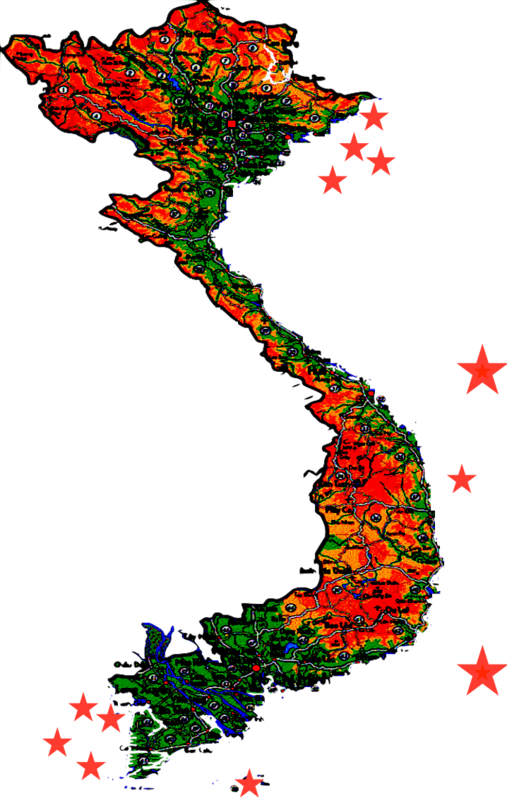 "In response, countries across the Asia-Pacific, both long-standing allies and new partners, are reaching out anew to the United States, to uphold the rules and principles that have allowed the region to thrive. And we're answering that call."